I have been on a bit of a spree this last week. We have been in pretty desperate need of a better hay mower for some time now, so I had been on the lookout for one, but hadn't found anything very good in my price range. I was also lamenting the fact that one tractor isn't really enough to run this type of farm. 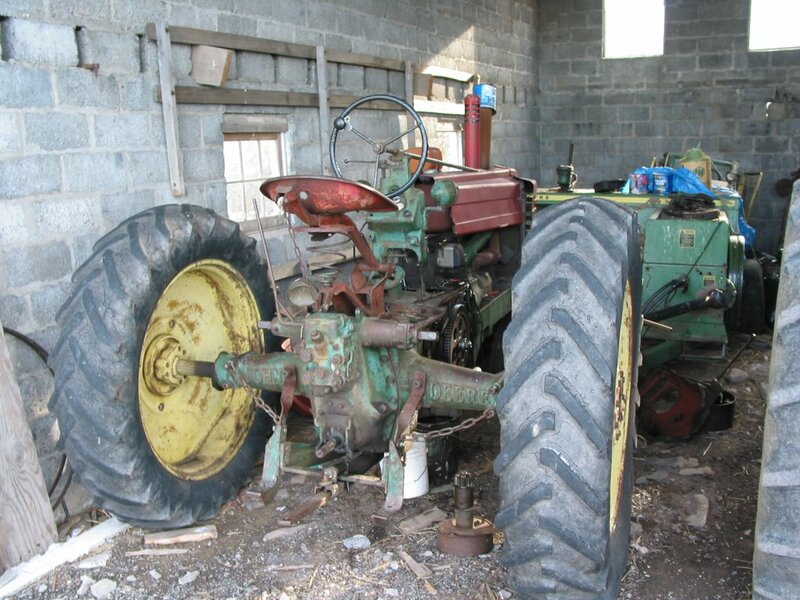 In addition to the Oliver loader tractor we have all I've got is a 1947 John Deere A that runs fine, but just doesn't have the weight or horsepower to really do the job. So when my buddy Frank, who deals in used farm machinery called me to tell me he had a 1975 David Brown 1210 available at a pretty good price I just couldn't resist. Who knows, maybe it's a midlife crisis that made me buy a little English sports tractor. But anyway, we put it on the dynometer and it tested at 68 horsepower (the Oliver came in 20 HP short of the 66 HP it is supposed to have), and everything seems to work on it other than some minor rewiring that is needed for the lights. Heck, the brakes even work (unlike the Oliver). Then of course, as soon as I had pulled the trigger on that deal I found a really good hay mower that was in my price range so I ended up getting that as well. Now if it ever stops raining we will be ready to go. Added 8/2/09- I must have done something to anger the Haybine Gods in a former life. I got around the field 1 and a half times before this machine broke down yesterday. New parts are on their way for a mere $220.